Since the introduction of SQL Server 2005, there is a simple lightweight trace that is left running by default on every SQL Server. This provides some very valuable information for the DBA about the running server, but it isn't well-documented. Feodor reveals many of the secrets of this facility and shows how to get reports from it. SQL Server provides us with variety of tools for auditing. All of them have their advantages and pitfalls. The default trace, introduced in SQL Server 2005, has the great advantage of being switched on by default, and is usually already there to use. It provides comprehensive information about changes in the system. What is logged in the Default Trace? 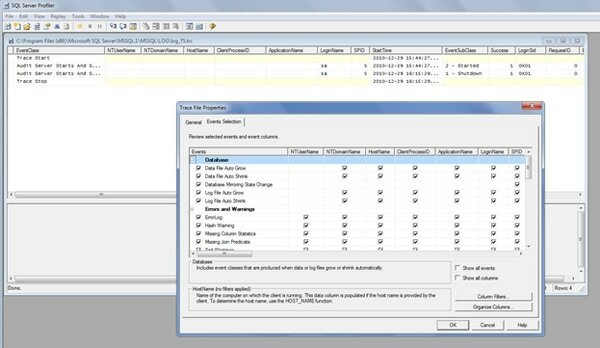 If we open the Default trace file in Profiler and look at the trace definition we will see that events in 6 categories are captured: Database, Errors and Warnings, Full-Text, Objects, Security Audit and Server. Also, all available columns are selected for every sub-event. So, how can we benefit from each audited category? In the following sections I will explain briefly what each category means, as well as some of the sub-events, and will provide essential scripts for auditing the events in the Default Trace. Let’s start with the first event: the Database. As we can see, the sub-events are pretty much self-explanatory – the growth and shrinkage of data and log files, together with the changes in mirroring status. It is important to monitor file growths and shrinkages; It would be a vast topic to explain why, but in an nutshell, it is because of possible performance issues. Every time a file is grown or shrunk, SQL Server will halt and wait for the disk system to make the file available again. And halt, in this case, means halt: no transactions processed until the action is completed. The output of the script will not tell you why the database grew, but will show you how long it took to grow. (Be careful about the value of the Duration column, since it might be in milliseconds or in microseconds, depending on the SQL Server version). Also, I would recommend extending this query to search for databases which took longer than, say, a second to grow (this is just a guideline). Here is another query which will return the log growths and log shrinking. Also keep in mind that the query will not tell you if your junior DBA has been shrinking the data and log files. In the default trace we can find only the AUTO growth and shrink events and not the ones triggered by the ALTER DATABASE statement. Now let’s move on to the next section of the events: the Errors and Warnings. As we can see, there is an abundance of information here. The Errorlog sub-event occurs when something is written to the SQL Server event log; Hash and Sort warnings happen generally when a sort or a hash match operation is spilled to disk (and since the disk subsystem is the slowest, then our queries become much slower.) Missing column statistics events will occur only when the ‘Auto create statistics’ option is set to off. In this case SQL Server indicates that it might have chosen a bad execution plan. The missing join predicate occurs when two tables do not have a join predicate and when both tables have more than one row. This can result in a long running queries or unexpected results. Note that this script has neither EndTime nor Duration columns, for obvious reasons. ... and finally, one more script which outlines the missing statistics and join predicates. The Full-Text event category shows information about the Full-Text population events: If it is aborted, then you should look into the event log for a more detailed message; the FT Crawl Started sub-event indicates that the population request has been picked up by the workers. FT Crawl Stopped indicates either a successful completion or stop by error. Notice that the records in the DatabaseName column are null, so we have to get the database name from the DB_NAME() function. Here is where the real detective work starts: the changes of the object. In this category we have altered, created and deleted objects, and this includes anything from index rebuilds, statistics updates, to database deletion. 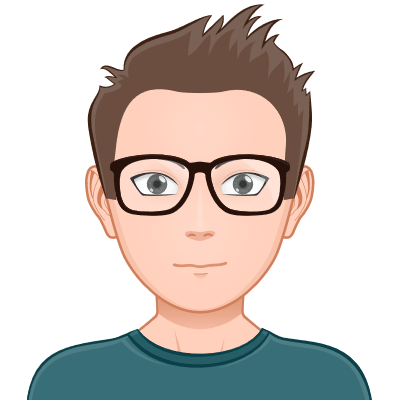 Here is a script which will give you the most recently manipulated objects in your databases. Keep in mind that SQL Server by default has five trace files, 20 MB each and there is no known supported method of changing this. If you have a busy system, the trace files may roll over far too fast (even within hours) and you may not be able to catch some of the changes. This article will not discuss in detail any workarounds for efficient SQL Server tracing, instead I will do this in a separate article later on. Another part of the default trace is the Security Audit. As you can see from the event list below, this is one of the richest parts of the default trace. In general, what this event group tells us is what significant security events are occurring in our system. assign read permissions to this user in one of our databases. As we can see, the first row is announcing the creation of the login in the master database, together with the creator (SessionLoginName column) and the create user (TargetLoginName column). The next two rows are as follows: creating the database user and granting it database access, and last – adding the database user to a DB role. Keep in mind that if you add the user to more than one role and if you give the login access to more than one database, then you will see several rows noting every event in your default trace. As you can see, the event name is the same for both creating and dropping logins: i.e. Audit Addlogin Event, however the subclass column value is what defines the difference, ie. In the case of creation of a login the subclass would be ‘Add’ and in the case of deletion it would be ‘Drop’. In fact, if we drop the database user and the SQL login we created earlier, this query will return two rows – one for each event together with the dropped user and login names and the login name of the user who deleted the user and the login. There are quite a few events in the Security Audit class and for the sake of compactness of this article I will turn your attention only to one more event, namely to the ‘Audit Server Starts and Stops’. Yes, you read it correctly: the above query will return only the Server Start event, and never the Server Stop event. Here is the explanation: as I mentioned earlier, SQL Server’s default trace consists of five trace files in total, which are 20 MB each. These five trace files are rotated (‘refurbrished’ or ‘recycled’, if you like) upon several conditions: when the instance starts or when the file size reaches 20 MB. Now, let’s think about this for a second: the queries I have listed so far in this article are returning the results only from the current trace file, i.e. the most recent one. Further, since the default trace file is rolled over every time the instance starts, this means that the event indicating the Server Stop will remain in the previous default trace file. Put simply, after the SQL Service restarts, our current default trace file will have the Server Start event as a first row. If you really wish to know when your SQL Server instance was stopped, you will need to include at least the contents of the previous file, but in fact we can include the contents of the other four default trace files to our result set. We can do this by changing the way we call sys.fn_trace_gettable so that it appends all default trace files. This function accepts 2 parameters – file location and name and number of files; if we pass as the first parameter the file location and the name of the oldest default trace file, then the sysfn_trace_gettable will append the newest ones, as long as we specify the appropriate value for the second parameter (the number of files). If we specify the newest file as a parameter to the function (as it is the case in all scripts in this article) then the older files will not be appended. As the filename contains the index of the file and they increment as each new file is created, it is easy to calculate the name of the oldest file. And now, let’s move on to the last event class in our default trace: the Server class. It contains only one event – Server Memory Change. The event subclass indicates if the memory has increased or decreased. 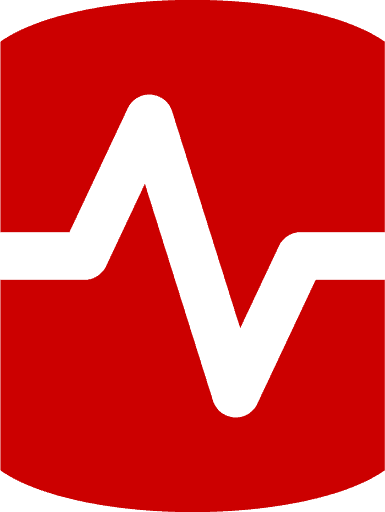 The default trace is a very powerful way to examine the health and the security of your SQL Server instance. There are several pitfalls to keep in mind – mainly related to file rollovers and size limitations, but with some programming the workarounds are not impossible. It is important to remember that the queries presented in this article will return the result from the single most recent default trace file. Depending on how busy the SQL Server instance is, the files may roll over way too fast for a DBA to catch all significant events; therefore, some automation is needed. I have written a set of reports for SSMS which query the default trace. Feodor has a background of many years working with SQL Server and is now mainly focusing on data analytics, data science and R.
Over more than 15 years Feodor has worked on assignments involving database architecture, Microsoft SQL Server data platform, data model design, database design, integration solutions, business intelligence, reporting, as well as performance optimization and systems scalability. In the past 3 years he has expanded his focus to coding in R for assignments relating to data analytics and data science. On the side of his day to day schedule he blogs, shares tips on forums and writes articles. since the default trace is very lightweight, it can be used only as an entry point (an overview) of performance and security matters. 3. run the query / procedure through the DTA (database tuning advisor) and check if there are index, statistics and partitioning sugestions; if there are suggestions, apply them as appropriate. 4. monitor your memory – your data and plan caches and see if there are any abnormalities in the behavior of the query. I have been big fan of Feodor for long time and this article kept my attention for long time. It was easy and top the point. Totally fun to read and learned a lot as well. Perfect and easy to read article by Feodor. There is something here in this article for everyone involved with SQL Server. I certainly learned useful things from it! I tried both and filtered on the same criteria and they did not return the same number of rows even though I made sue when using your method to provide the name of the oldest trc file so as to get all 5 traces files worth of data. The “::fn” method returned almost twice as many rows. I ask only because it looks like the “::fn” approach has the advantage of being able to return all 5 files worth without having to first get the exact name of the oldest trc file but then again I may just have misread this somewhere. The difference between the scripts in the article and the script you are using is the following: the article scripts are using the sys.fn_trace_getinfo to get the location and name of the current trace file and then pass the value as a parameter to the fn_trace_gettable, and in your script you are manually typing the location and the name of the first trace file. As explained in the article, there is a different result, depending on which trace file you give as a parameter to fn_trace_gettable. Let me explain in a bit more detail: when a trace file is rolled over, at the end of it (the last row of it) there is a pointer (or a mark) that the file has been rolled over, and hence when the file is read, SQL Server knows that there is a file following. The problem is, however, that the newly created rollover file does not have a pointer to the old file which was just closed, hence the fn_trace_gettable function does not pick up the previous file. As I mentioned, the scripts in the article are showing only the current trace file results, since the trace location and name is picked up dynamically. Actually, after some testing, it turns out that if we pass the default trace file path + log.trc to the fn_trace_gettable function, then we can get all trace files appended, however this will require some programming, since the folder location of the default trace file might be different for different SQL Server instances. Thanks for the article. It’s very useful. I have a Query performance question. I am running a query from my ASP.NET program and it runs nearly 1 minutes when it is executed for the first time. The subsequence executions are pretty fast. Please help me on this. Thanks for sharing the results of your hard and very detailed work. There is a lot of useful information in this article. It would be helpful if the scripts you provide used consistent case (capitalization) for identifiers for those of us working with binary or other collations. Thank you for your prompt response. Happy to see your reply. Actually, this problem is reproduced in the Client’s environment alone. We are not able to reproduce it on our developement environment. Since I am going to have a WebEx tomorrow, I am very tensed what to check at that time. However, I try to know what are the things you have suggested as I have not much worked on the performance tuning part in SQL Server 2005. P.S. Sorry for the duplicate posting of my question. I did it unknowingly. If I understand your question correctly, you have a query which executes slow the first time it runs, and any consequent executions are performing well. If this is the case, then you should look into your query compilation time(execution plan generation) and the data caching. Also, check how often the query is recompiling. Check if you have memory pressure in your production environment. There are plenty of reasons for the query to perform slow, however you should start from the memory and the cache. Thank you Feodor. I will learn on how to check memory and cache related things in SQL Server. I will revert you when I need help. this article is really useful and I have been using it in my day-to-day work.Yesterday someone deleted some linked server but these traces are not able to give me that info under objects created or deleted category. Please could authors test their scripts on CS collations. When I run your query to find Missing Column Statistics from the default trace, it returns a couple of dozen rows. However, when I check the database properties, both Auto Create Statistics and Auto Update Statistics are True. How is this possible? With using the above query to see all structure changes in a particular database, is there a way to see what that actual change was? Meaning if I change a VARCHAR(200) to VARCHAR(350), that I would see that change and not only the fact that the table changed in some form?